Do you want to wow your guest with surprising canapés? Or add some fun with fake caviar, foams and new textures to your dishes? 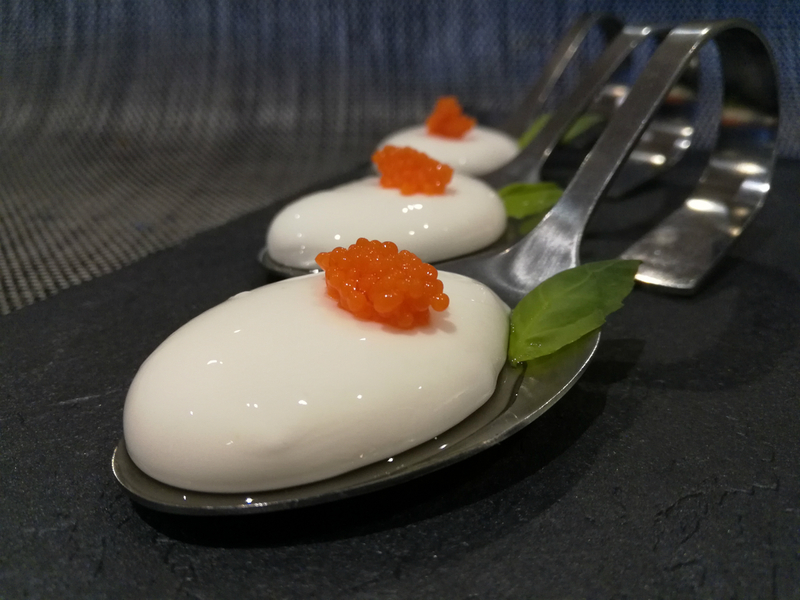 I am launching a new series of hands-on cooking classes, focused on molecular gastronomy. You don´t need to have special cookery skills or a high level of cooking experience. You will be amazed how easy is to make astonishing dishes with a little bit of chemistry and science behind but using natural products to create new textures and flavours. I have been trained in molecular gastronomy techniques by David Sanchez, a Chemist certified from Harvard University in Science and Cooking and founder of Pencil & Fork Ltd, (London), with an extensive research experience within the tasty and fun molecular gastronomy world. In this workshop, I want to share with you the techniques to transform the look and texture of food. You will be able to make your own innovative culinary creations as the idea of the workshop is to open your mind to the infinite new possibilities that molecular gastronomy can give to your recipes. For bookings, follow this link. Ask us for our bespoke private sessions!